Torture is not as universally condemned as it once was. From Guantánamo and Abu Ghraib prisons to the death of Giulio Regeni, countless recent cases have shocked public opinion. But if we want to defend the human dignity that torture violates, simple indignation is not enough. 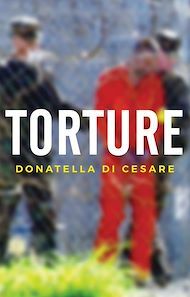 In this important book, Donatella Di Cesare provides a critical perspective on torture in all its dimensions. She seeks to capture the peculiarity of an extreme and methodical violence where the tormentor calculates and measures out pain so that he can hold off the victim’s death, allowing him to continue to exercise his sovereign power. For the victim, being tortured is like experiencing his own death while he is still alive. Torture is a threat wherever the defenceless find themselves in the hands of the strong: in prisons, in migrant camps, in nursing homes, in centres for the disabled and in institutions for minors. This impassioned book will appeal to students and scholars of philosophy and political theory as well as to anyone committed to defending human rights as universal and inviolable.